50% off ALL Non-Rare Books! GOHD Books will be having a MOVING OUT SALE with all the non-rare books at 50% off! The sale will be held this and next weekend, 1-7pm each day. Dates: 31 March, 1st April, 7 April, 8 April 2012 Time: 1-7pm CASH ONLY. Discounts do not apply to online purchases. 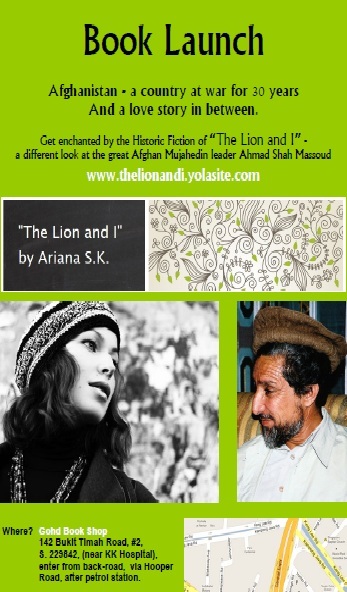 Book Launch @ GOHD Books: The Lion and I by Ariana S.K. Dear everybody, GOHD Books is happy to announce the commencement of new Beginner’s Greek and Beginner’s Latin courses. We’ve also started a new series of lectures entitled Introduction to the Classics, covering Ancient Greece & Rome, Ancient India, and the Narrative Arts of Indonesia. Alright. So I realise it’s not exactly in a bookseller’s interest to discourage someone from reading a book you’re trying to sell, but I can’t help it. I really dislike I Love You More Than You Know by Jonathan Ames because it’s, well, boring.